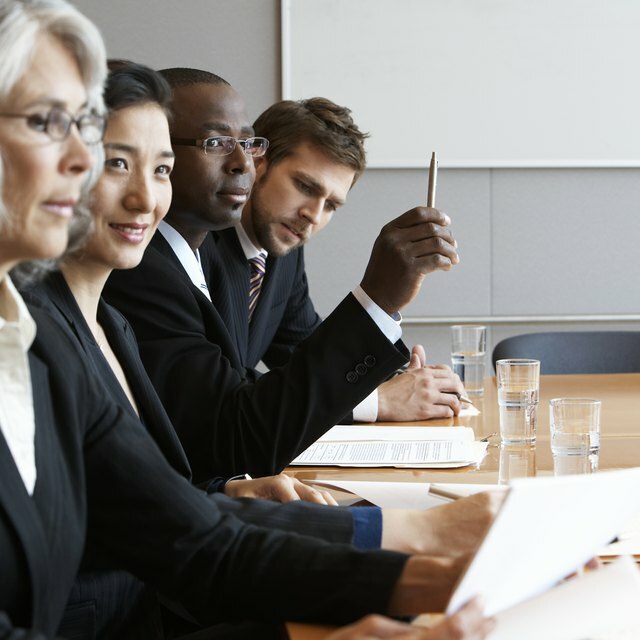 Minutes of board meetings are legal documents and available for public inspection, making them important records for a business or other type of organization. The more formal they are, the more important it is that they are approved by the board before they are disseminated. Using a few simple best practices for recording and approving minutes will help you streamline this process and reduce paperwork. Be sure to record the minutes accurately. Ask board members to stop speaking or the chairman to wait before starting a new discussion any time you are falling behind in your note taking. Ask members to repeat or clarify any information you do not find clear. Repeat motions board members make, including both an original motion and its final amended version, whenever a motion is introduced. Do this regardless of whether the motion is seconded and whether or it passes. Record the totals of any votes, rather than simply stating that a vote passed. Send the minutes to the chairman of the board, executive director or executive committee before sending them to the full board if that is your organization’s procedure. After you receive approval to send the minutes to the full board, send the document to every board member, regardless of whether or not she attended the meeting and whether or not she will be at the meeting at which the minutes will be approved. Send the minutes early enough so board members can read them, ask questions about them, research topics discussed and ask for clarifications. At the next board meeting that constitutes a quorum, have the chairman or whichever board member is running the next meeting to make a motion for the board to approve the minutes. A quorum is the minimum number of board members required to take official action. Wait for the motion to be seconded and then have the meeting leader open the floor for discussion. During the discussion, require a motion to be made, seconded and passed if there are any changes or corrections that need to be made to the minutes. After the discussion, or if there is no discussion, have the meeting leader call the question, or take the vote to approve the minutes. Check to see if your organization has a bylaw or other rule regarding the date by which board members must receive meeting minutes.